A french flag, positioned near the lens. A flag can be a great way to reduce lens flares. Like every photographer, I make mistakes while shooting. As soon as I start thinking this is going to be easy, I figure out some way to mess things up. I have grown to see mistakes as a crucial part of becoming a better photographer. Because each monumental mess-up gets etched permanently into my brain. So I have compiled a list of pretty much everything I have had go wrong with an exterior shoot, and how I fix each issue. A major problem is the feeing that the next shot will be a piece of cake. I start wondering if I should bother tethering. Or, if I can barely see the on camera screen, no big deal, I am pretty sure it will turn out. I might be exhausted after lugging my tripod, camera and lights around all day and start to cut corners. This is easily my biggest problem, and the lessons here is is to slow down and take my time and do every task as methodically and precise as I have time to do. Exterior architectural photography usually starts days before the actual shoot. Typically to schedule the best time to get the shots you need. In a perfect daytime photo, I want to see some bright light scraping its way across some of the textures, I want minimal shadows but some directional shaping of the light. And, if shadows are an issue, I want them to fall in an interesting or appealing way. Since I wont be able to do much lighting to buildings during the daytime (nothing is powerful enough), my only choice is to shoot at the best time for good light and good weather. 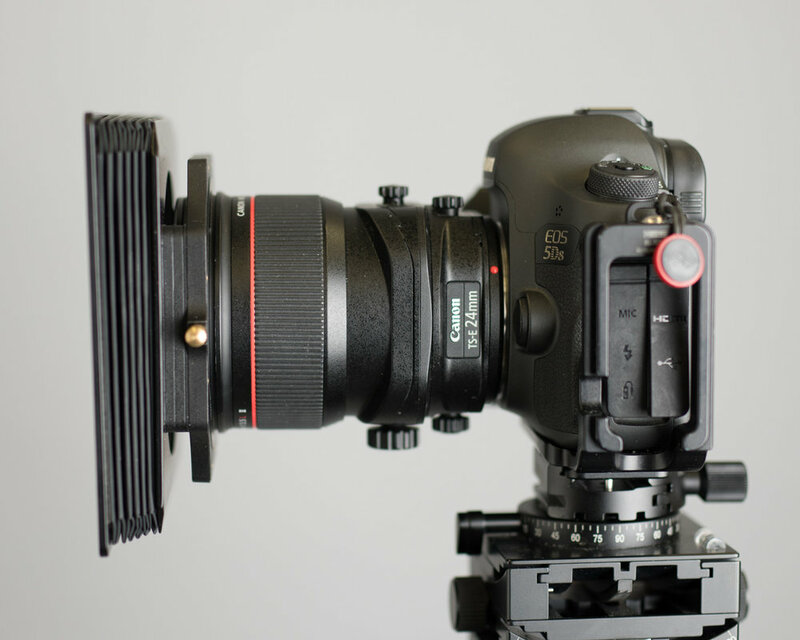 Compendium lens hood and adapter rings. Another approach to getting rid of lens flare. I usually watch the weather online and schedule on days that won’t be completely awful. Then I use an phone app like Sun-Seeker that allows me to look at satellite images of the site I will be photographing and track the sun’s movement for the day I have scheduled. Keeping in mind that at noon the sun is overhead which can be problematic if the buildings have awnings. Sometimes because of mid-day shadows I will just skip from about 10:30am to 1:30 or 2:00pm just to insure I get better light. Usually the building will get good light at a particular spot either in the morning or afternoon but rarely both. So I take my shot list and schedule exactly when each exterior needs to be taken. Here is the hood attached and closed. 1. Bad lighting - Using a sun tracking app goes a long way but what if it is overcast? I like to boost the contrast and saturation to be more in line with a sunnier day and replace the gray sky with something less dreary. 2. Shapeless light - I will use a small bit dodging and burning in photoshop with a mask to give a bit of shape when needed. It is important that you can distinguish the shape of the building. A little bit goes a long way, try to enhance what is already there rather than making things up. Compendium hood partially extended. 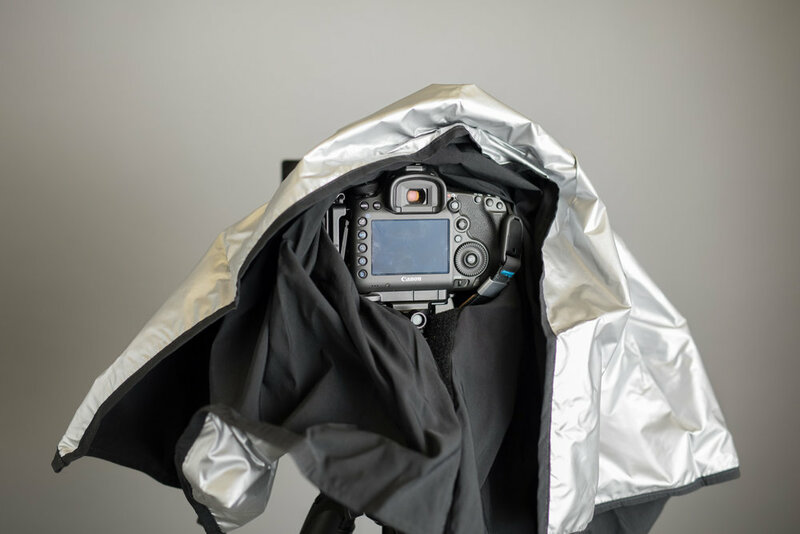 The fact that the hood is so flexible can help get the maximum flare reduction while still avoiding vignetting when shifting or tilting the lens. 3. Objects obstructing the view - The most obvious answer is move the camera. Sometimes it might require looking for a structure you can shoot from, parking garages are easy to get access to in a city. Another option is to go high, I have a 24 foot stand that I can shoot from that can be great at minimizing bushes and parked cars. Sometimes the answer is to get closer and use a wide lens, for instance, instead of shooting over parked cars, get closer to the building and shoot from in between the same cars. 4. Ugly or incomplete plantings or grass - This is usually a photoshop fix since there is very little you can do on site. In the case of grass, or more precisely, dead grass, this really easy to fix and is simply a matter of cloning out the ugly bits, or painting in the appropriate color. I paint into a new layer with the blend mode set to color or multiply and adjust opacity until it looks natural. If things are disastrous and the grass won’t come around with a simple bump in the color, I will replace the grass with images I have collected during the spring and summer, and simply mask in the better grass. Plantings might get straightened or filled out or even replaced completely. In the case of replacing, it really depends on the clients needs, It can be done but takes forever so it isn’t very common. Black cloth is admittedly from the dark ages of large format sheet film, but if it works, who cares. This one has velcro to keep it in place and is conveniently light silver on the outside to reflect the heat from the summer sun. 5. Less than sharp shots- This one is probably caused by movement while the shutter is open. It is easy to forget that a camera strap being moved by the wind is probably moving the camera and with a long exposure causing all sorts of blur. Other culprits can be the surface you are on moving, like a bridge swaying with traffic. If you have a lens with image stabilization and you are making a longer exposure , IS will make the shot blurry. 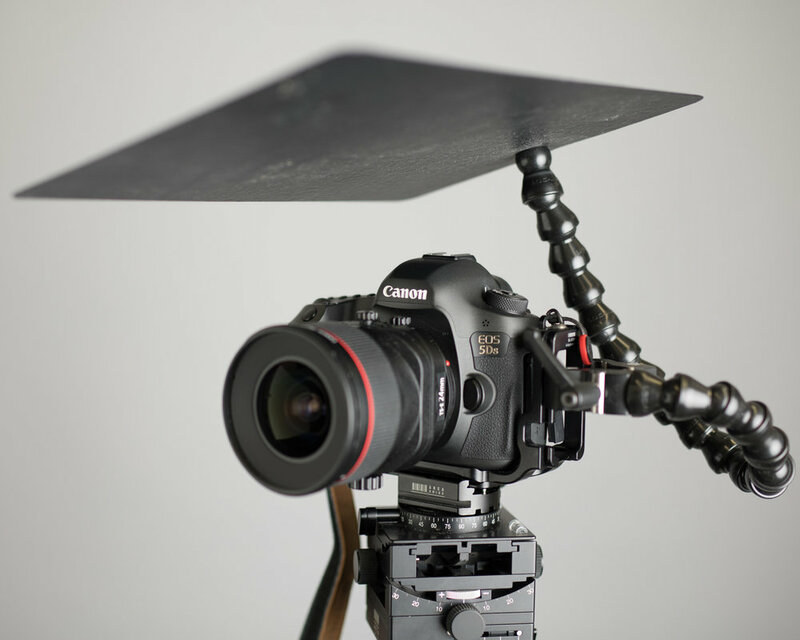 IS is excellent at correcting slight motion over short periods of time but on a longer exposure it just keeps moving. Touching the camera or tripod during the exposure is another culprit that can ruin a good shot. It is good practice to consider all of the possible sources of movement and use mirror lock up and a remote trigger to keep things rock steady. The view from under the cloth. 6. Mushy shots with bad contrast - this can be miserable to cope with because you might not notice the issue until the next day when reviewing the shots. It is usually caused by lens flare. If the sun is in the shot or near the edge of the frame or even well outside of the frame it can kill your image quality by leaking light in through the side of your lens. 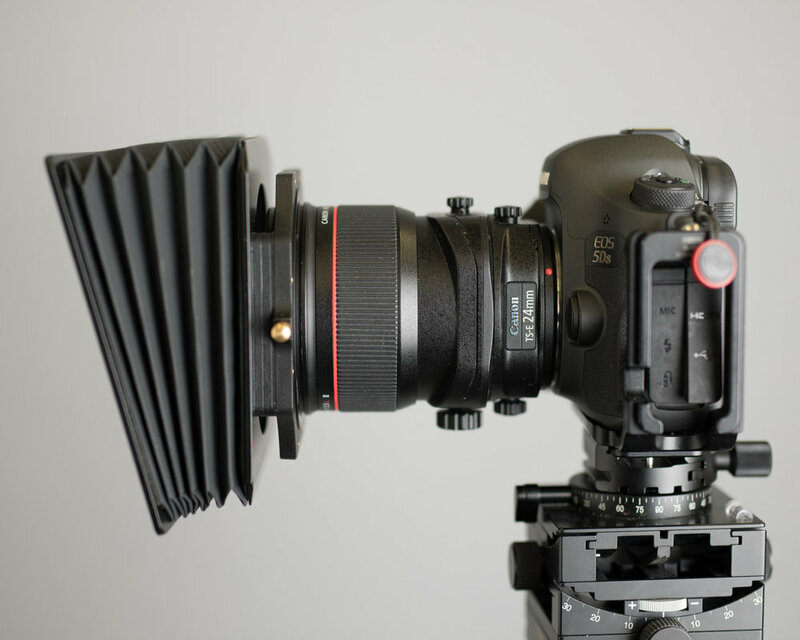 A lens hood helps, but isn’t enough with the specialty tilt-shift lenses because they are made rather wide to compensate for movements without vignetting. You can get an adjustable hood, or a french flag or even use your hand. Both the hood and flag might introduce issues with wind moving the camera. So you try and pick the best option for the circumstances. This guy comes in handy when you don't want to tether, it shades the back screen of the camera so you can see it, and at the same time it magnifies. 8. Site issues - These can be a nightmare and can be a time that a scout shoot can be helpful. You might have trashcans, tables and chairs, picnic tables, hoses… the list goes on and on. the idea is if it can be straightened up, it should be. Or, if it can be removed it should be. For everything else, like a heavy trash can. I will move the trash can 5 feet over, make an exposure and then move it back and make another exposure so I can mask it out easily without moving it out of the shot completely. 9. Focus is wrong - This is another side effect of the tiny screen on the back of your camera being to small and dim for outside use. 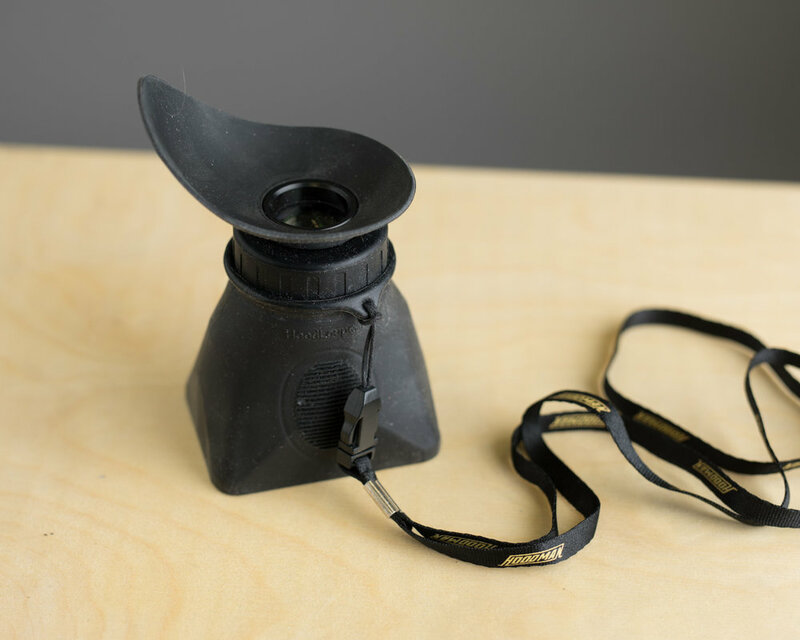 Either tether, so that every detail is being viewed at 100% or use a loupe or backcloth and zoom into your shots to make sure everything looks good. It can seem like a waste of time, until you miss a shot and have to go back another day. 10. 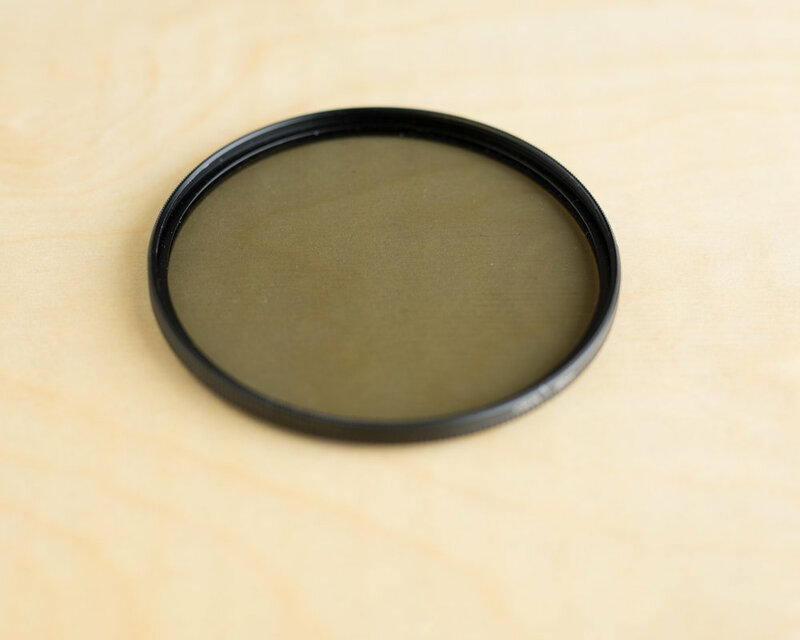 Ugly reflections - Windows and floors and even tabletops can have ugly reflections, a circular polarizing filter can take care of some of the reflections. As you turn the rotating filter you can watch as some reflections fade and others appear. It can be helpful to use multiple exposures at different angles of the filter and combine the results. 11. Uncooperative sky - depending on the season and location you might have a gorgeous day and an ugly sky. That happens here in Delaware for months at a time. I collect sky images while on vacation over the summer from the beach so I have no obstructions and use those to correct for a terrible sky. It is not always necessary when it is gray out if the clouds have some shape. but it certainly spruces up a dreary gray sky. A good quality polarizer is a smart addition to any architectural shoot but absolutely essential for exteriors. It is one of the few options you have for really controlling light issues. 12. Distortion - Distortion can be difficult to fix but it comes into play with exteriors quite often. The first and easiest option is to find the furthest back vantage point to shoot from and use a longer rather than a wider lens. Shooting from the center of the building will also help, rather than the ground up, because the distortion will be shared rather than focused toward the top of the building. If you have a tilt-shift lens you can experiment with re-framing to hide the distortion on one axis where it is less likely to be noticed. When shooting towards the corner of a building, you can reframe to the left then shift right and then try again from the other side to determine which is the most pleasing and seeming least distorted. If the distortion is very pronounced remember that a head on elevation will not look distorted and 45% will look most distorted, so consider shallower angles to reduce the stretching that can occur at the edges of the frame. That is pretty much everything, hopefully by reading about some of the problems I have run into, you might be able to avoid making the same mistakes. I think the difference between a good shot and a great shot is to know when things are going wrong and being able to calmly fix them without panicking or missing steps. So it is a matter of pacing yourself and getting everything done right. Let me know if you run into any other kinds of issues when shooting architecture outside, and how you handle it. I would love to hear from you.